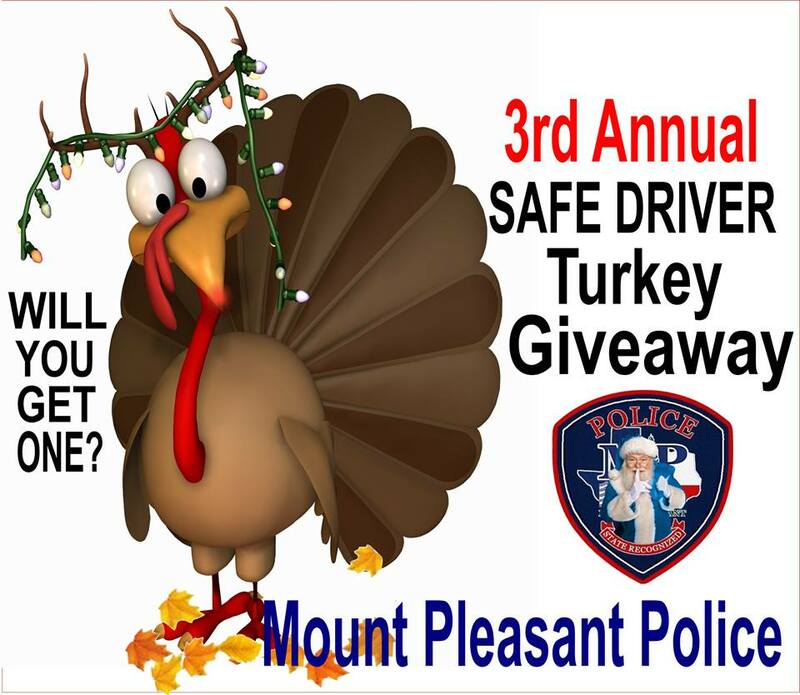 The Mt Pleasant PD Safe Driver Turkey Giveaway is underway. Officers will be looking for drivers who demonstrate safe driving throughout the city. Drive safely and you may get a turkey coupon good for one free turkey at Mt Pleasant’s Brookshire’s. This year’s turkey giveaway is sponsored by Mt Pleasant Police, East Texas Fence and Striping, Brookshire’s and the Phil and Jennifer Scudder family.